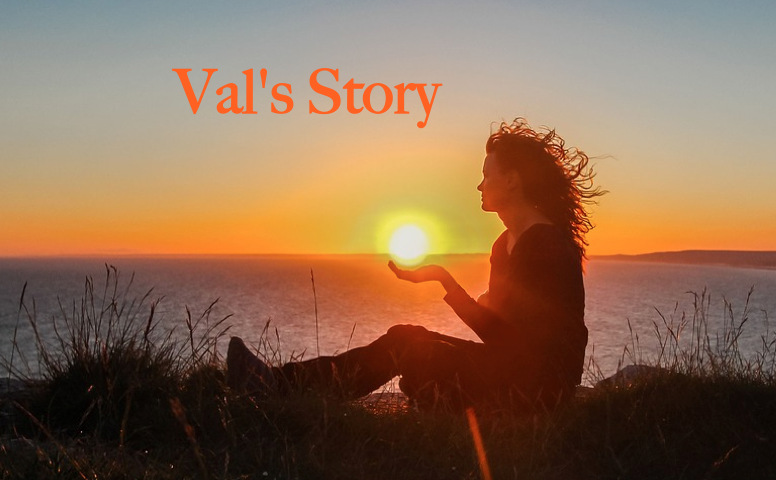 Val was a Charismatic Catholic, who also was deceived by the heretical NAR teachings, blended in with the New Age and Word of Faith. She has allowed me to include her story in this series about a movement called the New Apostolic Reformation, or NAR for short. In this series, I want to take readers beyond the textbook What is the New Apostolic Reformation Movement explanation, into the personal experiences from those who have been there, and what happened when God opened their eyes to the truth. I grew up in a very religious Catholic family in Northern Ireland during the “troubles”. It was a time of almost absolute segregation; I only knew Catholic people and had never heard the Gospel. When I was about eleven years old I went with my Mother to a “charismatic” prayer meeting. I was astonished to see people holding their hands in the air and saying “praise the Lord!” It was very different from anything I had seen before, but it also sparked an interest in me for spiritual things. I was particularly interested in speaking in tongues and I read a book Mum had bought called “Nine O’Clock in The Morning” (By Dennis J. Bennett). I remember telling my Mother that God will forgive us of all our sins and then we can do whatever we want because we are certain of heaven from that point on. My mother advised me that I had misunderstood and told me not to read any more books like that. I loved to read, and around that time I also got hold of a Bible. I dipped into it and read some of the Psalms and Proverbs and other small portions. This was a blessing to me over the following years, and I believe God used that to keep me from some of the worst of the false teaching I would encounter later on. I continued on in my Catholic faith and the only unusual experience was that I began to have occasional vivid dreams where I was able to “see” disastrous events such as a death or flooding or a fire or terrorist bombing before they happened. Then I would see something on the news or in my own life which matched these dreams. I believed that these were prophetic dreams from God as they were similar to what I had read about. I heard the gospel when I was 30, and got saved. I knew that I was a sinner deserving of death and that Jesus had come in the flesh to take the punishment for me and had risen from the dead. This fact was very clear to me. However, a lot of other teaching about gifts of the Holy Spirit were emphasized and it was common in those meetings to hear “tongues” see people “slain in the spirit”, shaking etc. Over the course of many years I continued to attend Pentecostal meetings and conferences and housegroups. I learned to speak in tongues, and pray prophetically, I learned to speak words of positivity over my life and refused to ever admit any sickness as I believed that was a lack of faith. I attended a conference which included thinking back to past situations and “seeing Jesus” come in and change the situation. There was a fire tunnel at the end of the evening. I always worried that I had done the wrong thing and regretted that I had stupidly “quenched the Spirit” that first time when I had been afraid to laugh. I had never fallen over or experienced any bodily sensation of any kind. I think I went through that fire tunnel about three times hoping that I would get a “touch from the Lord” as I could see other people doubled over, unable to stand on their feet, falling on the floor laughing. I wanted that experience too and I thank God now that he honoured my original prayer and kept me safe from it. All through these years I heard, believed and participated in a lot of things that were unbiblical, but I also learned some good and true things that helped me grow in my faith. God took me out of the Catholic church but my husband did not want me to attend a protestant church. I was basically in random house groupings with Christians who had pulled away from the mainstream churches for various reasons and the result was that we were blown about on every new wind and nobody was in charge or teaching anybody. I would hear something bizarre about some “apostle” who had just been to heaven or someone else who had visited hell and I believed it all. I was hungry for spiritual experiences and there was a kind of competition in these meetings where everybody would be hoping that they would be the person picked out for a prophetic word. We talked a lot about the enemy and discerning spirits and one of my favourite programmes was Sid Roth’s Its Supernatural. All during this time, even though I ran along with all these experiences I had to admit to myself that sometimes I would hear in my own spirit a Bible verse which completely contradicted what I was hearing from the speaker. I knew at those times that the speaker was not right. More often than not, when I did not like recommended teachers such as Joyce Meyer. I could not pinpoint why, but I just did not like the teaching. I was sorely in need of sound teaching and I did come across some on the internet but then I would also read something else from a totally different point of view and I could not make up my mind which was right. A major breakthrough for me was a series of sad and difficult experiences. But I thank the Lord for dealing with me. I had strongly believed the whole Word of Faith healing teaching for many years, to the complete extreme that I would convince others of the truth of this teaching and point out the out-of-context bible verses to back it up. I honestly believed that it was my right as a Christian to claim promises that I would not even “hurt my foot against a stone”. Then I suffered a health problem which I knew was serious. When it happened I could suddenly understand that no amount of positive thinking was enough. If “faith” as defined by Word of Faith was enough to keep me healthy then I should have been healthy through and through because I had believed it implicitly. At that time I came across the apologetics ministry of takeheed.info, and over the next few months the Lord began to open my eyes to the false teaching on healing. He put a desire in my heart to make sure of my doctrine. Two of my Christian friends who were part of the housegroup went home to be with the Lord during this time. This was a major shock to me. I could not help but think of all the prophecies of healing and breakthrough and God doing new things, etc., which God had suddenly and unmistakably proven to be FALSE words. I could not help but see that I was guilty of making some of these pronouncements myself out of my own heart, which wanted to say nice encouraging things to my friends but they were NOT from the Lord. I had to seriously repent of all this and ask God to forgive me for very serious error. On the recommendation of a friend, I found a wonderful small local church where the teaching is doctrinally sound and the emphasis is all on Jesus. I tried to explain to some of my friends in the housegroup what I now believe to be the truth, but it is difficult to convince someone that their experience is a deception. One of the things which I feel certain introduces a seducing spirit is the practice of “soaking” in prayer. This was something that the group were just getting into at the time that the Lord was pulling me away. I had refused to participate as it reminded me of the kind of meditative Taize type prayer I had been introduced to at school, and I was very wary of getting back into any Catholic practices. I am convinced from Gods word that this is all leading to a false and apostate unity and I thank God even for the illness which brought me to my senses and for the subsequent blessing of having a faithful bible teaching and believing church to attend.